The SEC has halted an ongoing fraud perpetrated by Motty Mizrahi and targeting members of the Los Angeles Jewish community. If you are a victim, call 1-866-817-0201 to speak to a private attorney about your rights. The SEC filed an emergency action in federal court against Mizrahi and MBIG Company, his sole proprietorship, alleging that, since June 2012, they defrauded at least 15 investment advisory clients out of more than $3 million. According to the SEC’s complaint, Mizrahi falsely claimed that MBIG used sophisticated trading strategies to generate “guaranteed” investment returns of between 2-3% per month risk-free, clients would not lose their money, and could withdraw their funds at any time. Unbeknownst to his investors, however, MBIG had no bank or brokerage account of its own – rather, clients unwittingly sent money to Mizrahi’s personal bank account. Mizrahi used the money to fund his personal brokerage account, in which he engaged in high-risk options trading producing losses of more than $2.2 million, and to pay personal expenses. The SEC alleges that Mizrahi covered up his fraud by issuing MBIG’s clients fabricated account statements, showing positive account balances and profits from trading. When clients demanded proof of MBIG’s securities holdings, Mizrahi showed them brokerage statements reflecting a multi-million dollar balance for a fictitious MBIG brokerage account. On March 27, 2019, the Honorable Judge Percy Anderson of the U.S. District Court for the Central District of California granted emergency relief, including a temporary restraining order against the defendants and an order freezing their assets. This entry was posted in Uncategorized and tagged California, Investment Advisor Fraud, Ponzi, securities fraud on April 5, 2019 by Jeff Pederson. The Financial Industry Regulatory Authority (“FINRA”) barred John Scott Simoncic from the securities industry. Mr. Simoncic had most recently been a broker for Financial West Group. Please call 1-866-817-0201 for a free consultation if you were an investor of Mr. Simoncic. There are multiple allegations concerning multiple investors against Mr. Simoncic. 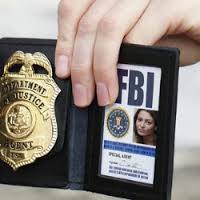 They include the unauthorized and excessive trading in client accounts. Allegations also include the sale of unsuitable investments. This is the sale investments to an investor that are inconsistent with the risk an investor was willing to assume. Between August 2014 and March 2016, Simoncic executed 54 of the 97 trades in a single customer account in inverse and/or leveraged Exchange Traded Funds (ETFs), an investment vehicle somewhat similar to a mutual fund. The investor did not have an understanding of the ETFs Simoncic traded in her account; she did not understand how inverse and leveraged ETFs worked, the risks associated with the extended time Simoncic held the ETF positions in her account, or that her account was concentrated in one particular volatility ETF, the ProShares Ultra VIX Short-Term Futures ETF (UVXY), for over nine months. Such ETFs are especially dangerous. Although leveraged and/or inverse ETFs seek daily investment results, Simoncic held the ETF positions in the investor’s account for multiple trading sessions. For example, Simoncic executed 37 transactions in shares of the ProShares UltraShort S&P 500 (SDS), an inverse double-leveraged ETF, with holding periods generally ranging from four to 97 days. These transactions in the SDS resulted in an overall loss of more than $15,000. Simoncic also concentrated 93 percent of the investor’s portfolio in shares of UVWY, the ProShares Ultra VIX Short-Term Futures—a risky, double-leveraged and speculative ETF—for 295 days, that resulted in losses that exceeded $20,000. Thus, approximately $35,000 of the investor’s total losses of approximately $60,000 related to ETF trading. Mr. Simoncic has previous regulatory actions and customer complaints that should have alerted his employer. We believe that the former employers of Mr. Simoncic are responsible for investors losses. This entry was posted in Uncategorized and tagged arbitration, California, churning, class action, FINRA Arbitration, Stockbroker fraud on October 25, 2018 by Jeff Pederson. If you were an investor of Kyusun “Kenny” Kim of IFG, please call 1-866-817-0201 to speak to an attorney about your rights for recovery. Most cases are handled on a contingency basis, where the attorney does not receive fees unless there is a recovery. Mr. Kim has been accused, and ultimately barred from the securities industry, by regulators for systematically committing securities violations in the accounts of senior investors for the time period of 2006 through 2015. He is accused of both of recommending unreasonably risky, or unsuitable investments, to senior investors, and of falsifying the documents of the investors to allow him to convey to his supervisors that the recommendations were suitable. Kim was selling alternative investments to seniors. 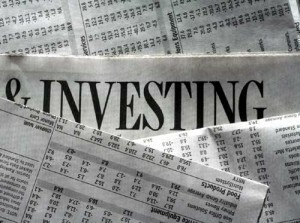 Alternative investments are investment other than stocks, bonds and mutual funds. They include REITs that do not trade on a stock exchange and structured notes. Though structured notes may look like bonds or mutual funds, such investments contain a derivative component that make the investment extremely risky and speculative in nature. An investor may need to speak to an attorney just to confirm an investment is actually a structured note. Such recommendations were improper for investors with conservative or moderate risk tolerances. Adding to the risk, Kim improperly recommended that many of the investors unreasonably concentrate their portfolios in these alternative investments. This only increased the level of speculation in the portfolio. This is only the latest chapter in a long history of regulatory actions and customer lawsuits. FINRA has indentified 23 investor lawsuits, either filed or threatened, concerning Kim. While Mr. Kim has been expelled from the securities industry, this does little to compensate investors who have lost their life savings. Jeffrey Pederson has represented investors across the country in similar suits in front of FINRA. Please call for a free and confidential consultation. This entry was posted in Uncategorized and tagged California, class action, REIT Loss, San Diego fraud, Stockbroker fraud, Stockbroker negligence, Structured Note Loss on June 27, 2018 by Jeff Pederson. Investments connected to the VIX index were known to be highly speculative. We are a firm that specializes in investor loss recovery. Investors of Inverse VIX Exchange Traded Notes (ETNs) and Inverse VIX Exchange Traded Funds (ETFs), including VelocityShares Daily Inverse VIX Short-Terms ETN (XIV), the ProShares Short VIX Short-Term Futures ETF (SVXY), and the LJM Partners’ Preservation and Growth fund (LJMIX and LJMAX) may have grounds for the recovery of their losses. If you were sold an Inverse VIX ETN please call 1-866-817-0201 for a free and confidential consultation with an attorney. These investments were suitable for very few investors. The sale of unsuitable investments by a securities broker is a form of negligence and possibly fraud. These investments carry such a high level of risk and are so complicated that they were likely not suitable for any retail (non-institutional) investor. “Unless you were a hedge fund manager you should not have been sold these funds.” If you were recommended such investments as part of a retirement savings portfolio you have grounds to recover your losses. The makers of these funds have acknowledged that the fund was for hedge fund managers only, and not individual investors. Investment advisory firms also sold these investments, and in many cases sold the investments inappropriately. These include SRS Capital, IFAM, Movants Capital Management, Tradition Capital Management, and Investment Advisor Group. Starting on February 2 and continuing through February 6, investors saw portfolios implode due to investments in obscure products that tracked market volatility. Such investments tracked the VIX index. The VIX index is a complicated monitor of investment market volatility or “investor fear.” An “inverse VIX” investment is an investment that benefits from stable markets but loses value quickly in times of volatility. The losses in the inverse VIX investments mounted quickly until NASDAQ halted the trading of these investments on February 6, with some suffering losses of almost all value in just a few days. For example, VelocityShares XIV plummeted 80 percent in extended trading on February 5, 2018. This is a security issued by Credit Suisse this tracks the inverse of the VIX index tracking market volatility. As the market rose and sank the value of XIV dropped sharply. Such sudden drops have a cascading impact that can lead to margin calls and other losses. Of particular concern, though any sale of such an investment to a retail investor is concerning, are investors who purchased such shares through the following brokerage firms: Credit Suisse, Fidelity, Merrill Lynch, and Wells Fargo. The dramatic losses was foreseeable to securities brokerages, often referred to as securities “broker-dealers.” The regulator that oversees broker-dealers, FINRA, the Financial Industry Regulatory Authority, issued its latest warning in a string of warnings on October 2017 to broker-dealers about VIX and inverse VIX investments. FINRA identified such investments speculative and warned the “major losses” could result from such investments from a failure to understand how such investments work. For example, many are short-term trading vehicles that can degrade over time. FINRA also warned all financial advisers that VIX ETNs may be unsuitable for non-institutional investors and any investor looking to hold investment as opposed to actively trading the investment. While this warning occurred in October 2017, similar warnings were issued in 2012. That same month, FINRA fined Wells Fargo for unsuitable recommendations of similar volatility funds. FINRA stated in 2012 in a Regulatory Notice, RN 12-03, that heightened supervision is required of any broker who sells such complex investments, and specifically identified the need for brokerage firms to oversee any recommendation of an investment based upon the VIX. While all short VIX trading is suspect and potentially recoverable, the following investments are of particular concern: XIV, SVXY, VMIN, EXIV, IVOP, LJMIX (“LJM”), LJMAX, XXV, and ZIV. FINRA is conducting sweep investigations of all brokerages that sold any and all of these investments to retail investors. ‘The sweep is part of Finra’s continuing focus on the suitability of sales of complex products, including leveraged and volatile products, to retail customers,’ stated FINRA. In addition to suitability, there is also concern that due diligence by these brokerages should have revealed that the index was subject to manipulation. This was recently reported by the Financial Times of London. A scholarly report from researches at the University of Texas in 2017 identified the mechanism for manipulating the VIX. FT reports that the Securities and Exchange Commission is currently investigating such allegations. Investors suffering losses in such investments may have valid claims despite the warnings contained in the prospectus. These investments should not have been offered to any retail investors. PedersonLaw has represented investors in similar actions in most of the 50 states either directly or pro hac vice. This entry was posted in Uncategorized and tagged arbitration, attorney, California, class action, Colorado, Colorado Springs, Credit Suisse, Dallas, Denver, financial adviser, financial advisor, FINRA, IFAM, IFAM Investors, LJM, LJMIX, ProShares, San Francisco, securities fraud, SRS Investors, Texas, unsuitable securities, VelocityShares on February 8, 2018 by Jeff Pederson. If you suffered investment losses investing with Charles Frieda, formerly of Wells Fargo, Morgan Stanley and Citigroup, please call 1-866-817-0201. Mr. Frieda has been found to have been reckless in his handling of investor portfolios, particularly in the recommendations of oil and gas investments. Frieda recently entered into a regulatory settlement agreement with FINRA, the regulator that oversees securities brokerages. Between November 2012 and October 2015, Frieda and another Wells Fargo representative recommended an investment strategy to more than 50 customers, which was a majority of their customers, causing the customers accounts to become significantly over-concentrated in a single sector of the overall market. The over-concentration primarily involved four speculative oil and gas stocks. Due to the speculative nature of the recommended investments and the high level of concentration, this investment strategy was unsuitable and exposed customers to significant potential losses. The regulatory settlement simply bars Frieda from the securities industry. Recovery of losses requires investors to contact a private attorney. During the relevant period, in many instances, Frieda failed to properly consider and failed to obtain accurate customer investment profile information to determine the suitability of his over-concentration strategy and the securities he recommended as part of that strategy. Frieda has been sued more that 30 times in his short career. Most of these suits concern the recommendation of unsuitable securities, such as the oil and gas securities for which he is currently under fire. Jeffrey Pederson has represented investors across the country in similar suits to recover investment losses. Please call for more information. This entry was posted in Uncategorized and tagged arbitration, California, class action, FINRA, Fraud Recovery, Investor warning on December 12, 2017 by Jeff Pederson. Investors with H. Beck may have grounds for recovery for investment losses in ETFs and other investments. H. Beck recently consented to a settlement with regulators. The settlement stated that from at least July 2008 until June 2013, H. Beck failed to properly supervise the sale of nontraditional ETFs and failed to properly supervise the recommendations made by its financial advisors. As a result, H. Beck violated NASD Rules 2310, 3010(a) through (b), and 2110, and FINRA Rules 2111, 3110(a)-(b), and 2010. Between 2008 and 2011, H. Beck’s financial advisor James Dresselaers recommended to the Firm’s customer, EB, investments in several nontraditional exchange-traded funds (“ETFs”) and stocks issued by companies in the metals and mining sector. These recommendations were unsuitable for EB, a professional athlete with no investment experience, a moderate risk tolerance, and an investment objective of long-term growth. EB suffered losses of more than $1.1 million on these investments. NASD Rule 3010(a)-(b) and FINRA Rule 3110(a)-(b) require every investment brokerage to establish and maintain a system and procedures to supervise the activities of its financial advisors that is reasonably designed to achieve compliance with securities laws and regulations and applicable NASD/FINRA rules. FINRA rules require that financial advisors only recommend investments to suitable investors. So if an investment poses too much risk, or possesses other characteristics that are inconsistent with the wants and needs of the investor, it is a violation to recommend that investment to such an investor. This is commonly referred to as a “suitability” violation. This is not the first time H. Beck has been penalized by regulators over non-traditional investments. In March 2015, H. Beck was censured and fined $425,000 for failing to properly supervise the sale of unit investment trusts (UITs), failing to properly supervise the preparation of account reports sent to investors, and failing to enforce its own written supervisory procedures relating to financial advisors’ outside email accounts, which is a significant protection against fraud. Dresselaers also has a history of customer disputes. This is concerning since Dresselaers is listed as the top executive at H. Beck. Such regulatory findings and prior disputes evidence wide-spread supervisory problems at H. Beck and support private claims by investors. This entry was posted in Uncategorized and tagged arbitration, attorney, California, Colorado, Dallas, ETF, financial adviser, financial advisor, FINRA, Florida, H. Beck, Maryland, Stockbroker fraud, Texas, UIT, unsuitable securities on September 28, 2017 by Jeff Pederson. Jeffrey Pederson PC is interested in speaking to investors of Robert “Rusty” Tweed as part of an investigation into the broker. Tweed was previously with Cabot Lodge, Concorde Investment Services, and MAM Securities. Please call 1-866-817-0201 for a free and private consultation with an attorney. Many issues which may entitle investors to recovery against Tweed’s former employers, have been brought to light by a recent FINRA complaint against Rusty Tweed. However, time is running on the ability to recover. FINRA alleges in a complaint that between November 2009 and March 2010, Rusty Tweed obtained more than $ 1.6 million from his retail customers through a false and misleading private placement memorandum (“PPM”) he used to offer and sell interests in his Athenian Fund LP, a pooled investment fund that he both created and controlled. Tweed drafted and circulated the private placement memo (PPM), a document that is supposed to provide investors with significant information to evaluate the investment, that misrepresented and failed to disclose material information to investors, and twenty three customers invested in the Fund without the benefit of complete and accurate information. The misrepresentations included: (1) the total potential fees and costs associated with the Fund; (2) Tweed himself; and (3) the entities and individual who would ultimately have immediate control over the money that customers invested. a. First. Tweed and the PPM misrepresented the total potential costs of an investment in the Athenian Fund. opting to disclose certain costs and fees while oniitting others that would reduce any return on investment. b. Second, Tweed and the PPM also failed to disclose that the omitted fees and costs were added only after Tweed discovered that arbitration (complaints) against him would prohibit him from opening a trading account for the Fund directly and require the use of a more expensive master fund structure. c. Third, Tweed and the PPM failed to disclose that Tweed had replaced the Fund’s identified master fund with another entity controlled by an undisclosed person (ER). who would now have immediate control over the Fund’s assets. Tweed and the PPM likewise provided no information sufficient for investors to evaluate the risk ofentrusting their capital to ER and his company, such as relevant background. other business activities, and qualifications. d. Fourth, Tweed and the PPM failed to disclose the additional management fees and perforniance allocations that arose when he granted control to ER and his management company, and Tweed’s own interest in those fees, which would further reduce any return on the retail investors’ capital. As a result of these material misrepresentations and omissions. Athenian Fund investors could not evaluate the true costs and risks associated with the Fund, including those relating to the individual or the entities with immediate control over their capital. This entry was posted in Uncategorized and tagged arbitration, attorney, California, financial adviser, financial advisor, FINRA, fraud, lawyer, SEC, Stockbroker fraud on April 28, 2017 by Jeff Pederson. John Blakezuniga, formerly of Vanguard Capital, recently entered into a settlement agreement with FINRA regulators, where he agreed to a fine but did not admit or deny fault, concerning alleged fraudulent activity in the portfolios of his investors. Blakezuniga sometimes goes by the name of John Blake, sometimes by the name John Zuniga, and sometimes by John Blake-Zuniga. Jeffrey Pederson, PC helps investors recover such losses. For a free and confidential consultation with a lawyer, please call 1-866-817-0201. As identified in the FINRA regulatory settlement, referred to as an AWC, between 2007 and 2013, Blakezuniga borrowed $775,000 (which he has not fully repaid) from two firm customers in violation of the firm’s policy. As a result, Blakezuniga violated NASD Rules 2370 and 21 10 and FINRA Rules 3240 and 2010. Blakezuniga separately violated FINRA Rule 2010 by falsely answering “no” to a question on the firm’s 2013 annual compliance questionnaire that asked if he had ever borrowed money from a customer. In addition, from 2010 to 2014, Blakezuniga recommended approximately 1,280 transactions in inverse and inverse leveragedExchange Traded Funds (“nontraditional ETFs”) in 85 customer accounts without a reasonable basis for the recommendations. By doing so, Blakezuniga violated NASD Rule 2310 and FINRA Rules 2111 and 2010. Borrowing funds from an investor/customer is fraudulent because of the discrepancy in the bargaining power between broker and investor. The prohibition is codified in NASD and FINRA rules. NASD Rule 2370 and FINRA Rule 3240′ generally prohibit registered representatives from borrowing money from any customer subject to limited exceptions and in accordance with firm procedures. Likewise, lacking a reasonable basis for the recommendation of an investment is violative. NASD Rule 2310 and FINRA Rule 21113 require registered representatives to have reasonable grounds for believing that a recommendation is suitable for a customer based upon the customer’s disclosed security holdings and financial situation and needs. A violation ofthese rules also constitutes a violation of FINRA Rule 2010. This entry was posted in Uncategorized and tagged arbitration, attorney, California, financial adviser, financial advisor, FINRA, fraud, Investments, lawyer, Master Limited Partnership, NASD, Securities, securities fraud, unsuitable securities on April 4, 2017 by Jeff Pederson. Some Energy, Oil and Gas investments can only legally be sold to a limited section of the investing public. If you suffered losses we may be able to help. Contact us at 303-300-5022 or 1-866-817-0201 (toll-free) for a free consultation. Oil and gas investors do not have to sit and watch their life savings diminish. These investors have rights though many are unaware of the recourse they have for such losses. Many investors have received high pressure sales of oil and gas investments. Brokers and other investment p rofessionals like to sell these types of investments because they usually pay a very high commission. These commissions can be 10 to 20 times higher than the commission on your average stock sale. The high commissions will often cause these individuals to ignore the rules in the sale of such investments. The two rules that are usually ignored are those concerning accreditation and suitability. Many investors were led to believe energy investments were safe, only to have their savings left adrift. 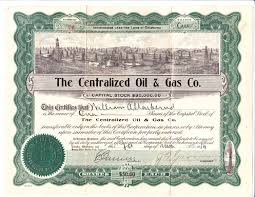 Oil and gas limited partnerships can generally only be sold to “accredited” investors. Such investors are individuals whose liquid net worth, their net worth excluding their home, is in excess of $1 million. The second rule that is commonly violated in the sale of such investments is the suitability rule. Oil and gas investments are known by investment professionals to generally be very high risk investments. Investments need to be consistent with the level of risk that an investor is willing or able to take. 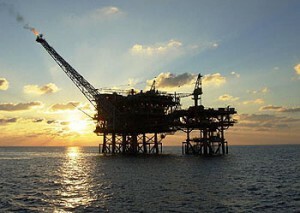 For example, a person approaching or in retirement or who cannot otherwise afford to take high levels of risk with their investments could not legally be offered an oil and gas investment. Likewise, an individual who expresses a desire for conservative or moderate investments would not be a suitable investor. There are many other rules that can potentially be violated in the sale of oil and gas investments. Problems exist not just with the investment losses, but also with the tax consequence of investing in these companies. This tax consequence is referred to as CODI. A detailed description is found in the following Link to Forbes. In short, these investments are partnerships. When debt is defaulted upon by a partnership, and the lender “writes off” the debt, the write off means that the owners (the investors) are taxed as if they received the amount written off as income. Considering some limited partnerships defaulted on billions in loans, the tax obligation of investors is substantial. If you have any questions, please feel free to give us a call. These rules apply no matter if you invest in individual oil or gas investments or invest through a mutual fund or master limited partnership (MLP). Common oil and gas investments we see recoverable losses include Linn Energy (“LINE” or “LNCO”) and more information can be found at www.jpedersonlaw.com/blog/linn-energy-losses/, Williams Companies (“WMB”), Penn West Petroleum (“PWE”), BP Prudhoe Bay Royalty Trust (“BPT”), Breitburn Energy Partners, LP (“BBEP”), Hawthorne, SandRidge Energy, Williams Ridgewood Energy, Apco, Atlas Energy, Midstates Petroleum, Peabody Energy, Resolute Energy, XXI Energy, Nobel, Permian Basin, Pioneer Energy, W&T Offshore, and Breitling Energy. Some of these losses may be recoverable by class action while others may require individual FINRA arbitration suits. More information on SandRidge can be found at this link. Some oil investments are barely worth the paper they are written upon. Jeffrey Pederson is an attorney who works with investors to recover losses in FINRA arbitration and has represented investors in Alabama, Alaska, Arizona, Arkansas, California, Colorado, Connecticut , Florida, Hawaii, Illinois, Indiana, Massachusetts, Montana, New Jersey, New Mexico, New York, North Carolina, Maryland, Minnesota, Missouri, Montana, North Dakota, Rhode Island, Texas, Utah, and Wyoming, in FINRA arbitration actions against securities brokerage firms for unsuitable investments. Please call for a confidential and free consultation. This entry was posted in Uncategorized and tagged arbitration, attorney, California, CODI, Colorado, Dallas, Denver, financial adviser, FINRA, Kinder Morgan, Linn, Oil, Oklahoma, Sandridge, Securities, Stockbroker fraud, Tax, Texas, unsuitable securities on March 3, 2017 by Jeff Pederson.